Factory set to open in 2020. Company founder James Dyson has been hinting at plans to build an EV for a number of years. While best known for its vacuums and fans, British company Dyson has confirmed long-standing expectations that it will enter the electric vehicle market, announcing plans to build a new assembly plant in Singapore. Dyson has been investing heavily in advanced battery technology, among other things acquiring Michigan-based Sakti3, a pioneer in the development of solid state technology. But after writing down some of the purchase price, it is not clear if the British manufacturer will use conventional lithium-ion or more advanced battery technology for the vehicles it is planning. 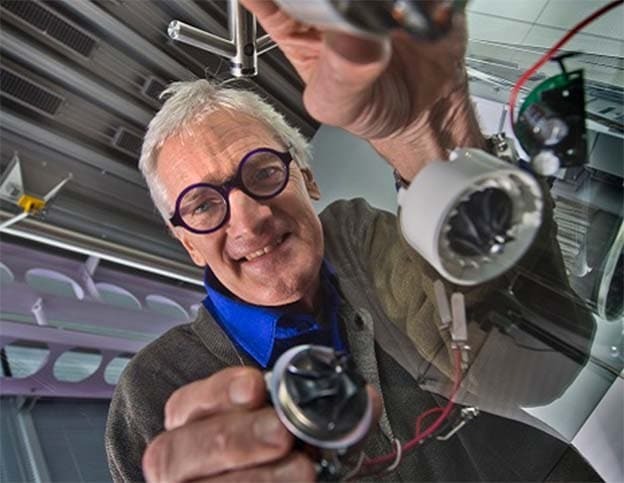 Dyson officials indicated the decision to go with an Asian manufacturing base was not influenced by Britain’s decision to pull out of the European Union. Brexit negotiations have been going poorly and a number of UK manufacturers have warned that a “hard” Brexit could result in their moving production out of the country. 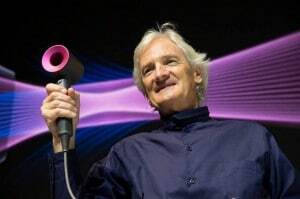 James Dyson, whose company is best known for making vacuum cleaners and hair dryers, is planning to produce an electric vehicle by 2020. The formal decision to enter the battery-car market comes at a time when demand is growing exponentially after years of weak consumer interest. That is driven, in particular, by the New Energy Vehicle, or NEV, rules recently put in place in China, now the world’s largest market for plug-based vehicles. Those rules cover both plug-in hybrid and pure battery-electric vehicles, though Dyson has indicated it will focus on BEVs when it launches production in Singapore in 2020. That’s considered a relatively rapid pace for launching not only a new brand but an entirely new vehicle and questions remain about how Dyson has been moving forward with its development effort. Company founder James Dyson has said he was willing to spend as much as $1 billion just on a battery plant. The company is shifting to battery-based technology for many of its consumer goods, as well as for the planned electric vehicle, however. The automotive project, founder Dyson has indicated, will cost around $2.7 billion. About $260 million of that is expected to be spent in the UK on R&D, as well as a vehicle test track. Dyson already has a large workforce in Asia, where many of its consumer goods are manufactured. That includes 1,100 employees in Singapore. It expects to create hundreds more before the factory opens to push through vehicle development. 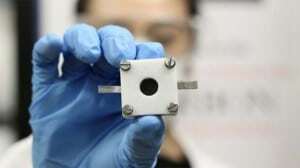 A new solid state battery cell offers a wealth of advantages over the current lithium ion technology. Whether Dyson will produce its batteries alongside vehicles in Singapore is uncertain. Several industry observers said they expect that, at least initially, the company will rely on conventional lithium-ion technology, though it may be planning a switch to more advanced solid-state batteries later in the decade. The British firm purchased Michigan-based Sakti3 in 2015 for £58 million, but recently wrote off £46 million, or about $60 million, of that due to problems with the technology. Proponents believe that solid-state batteries eventually will offer longer range, faster charging and lower costs. But they still don’t work well out of the research lab and it remains uncertain if, or when, they will be ready for mass production. Dyson has not indicated what type of battery-car it plans to produce but it would likely find itself going up against not only California-based Tesla – which is setting up a factory in China – but a wide range of other new and existing automotive entrants into the battery-car space. This entry was posted on Tuesday, October 23rd, 2018 at and is filed under Asia Pacific, Automakers, Automobiles, Business, China, EVs, Electrified Vehicles, Europe, Executives, Markets, NAFTA, Personalities, Sales, South America, Technology, U.S./North America. You can follow any responses to this entry through the RSS 2.0 feed. Both comments and pings are currently closed.